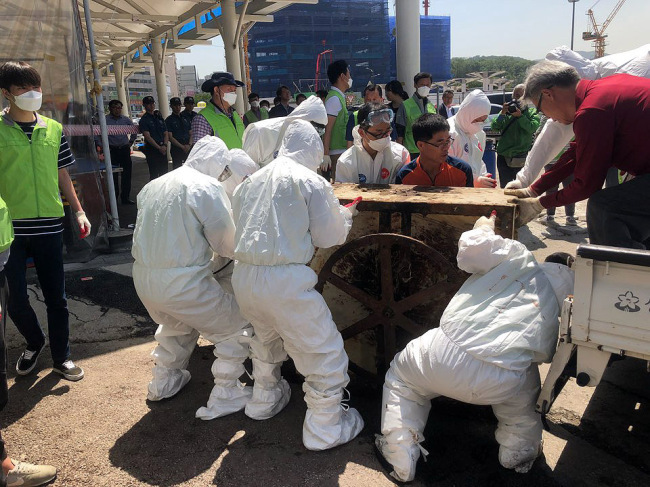 A dog meat dealer resumed business at Seongnam’s Moran Market by bringing back its butchery equipment which the city government removed last week, continuing a legal battle to maintain its business. 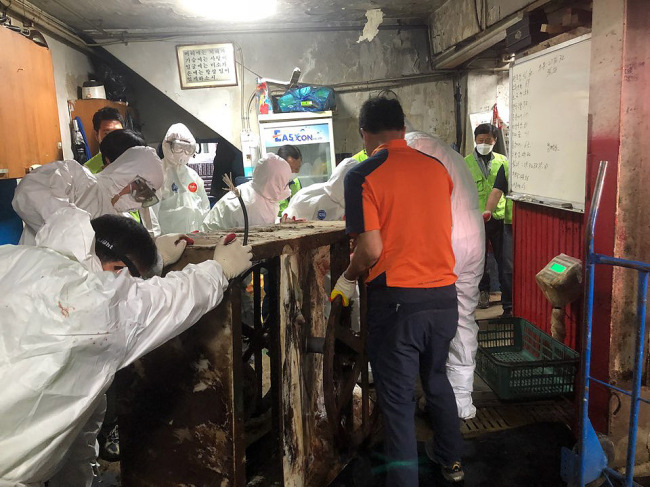 Under an administrative order, city officials on Friday dismantled the last remaining dog slaughter facility in what used to be Korea’s largest dog meat market amid much media attention. The dog meat vendor that owned the facility, however, retrieved all the equipment that was kept at the ward office and brought them back to his shop later in the day. Related rules state that the facilities taken down under an administrative order should be returned upon the owner‘s demand. The vendor filed a lawsuit against the chief of Jungwon-gu in Seongnam to cancel the warning on the removal of the facility last December. The court dismissed the case earlier this month, and the vendor appealed, planning to continue his business until the final court ruling. The district office of Jungwon-gu plans to deliver the warning again this week and have a contractor tear down the facility early next month. It can’t stop the dealer, however, from repeating the reinstallation until the final court ruling. Twenty-one dog meat vendors voluntarily removed their dog display and slaughter facilities under an agreement with the Seongnam city government in December 2016 to remodel the market. The city provided support for them to change to new businesses. A handful of restaurants and shops, however, are still trading dog meat in the market.